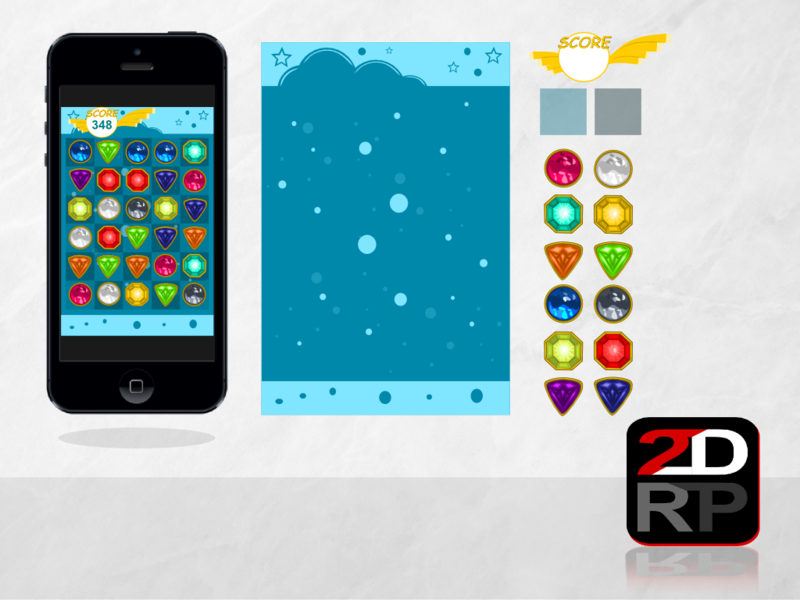 GUI for a jewel-themed puzzle game. Contains: background, window, fields, 12 jewels. Bitmap Files are PNG and optimized for 640x960 resolution. Feedback is very welcome and please let me know about your projects if used. Thanks for sharing this! This looks usable in many different kinds of puzzle games. its always nice to have some feedback. Hello, I think it's safe to say that this one is your best asset that you've created. Very nicely done!